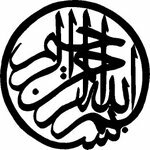 These are four links to 40 hadith collections for each of the four rightly guided caliphs namely: Abu Bakr, Umar, Uthman and Ali (may Allah be pleased with him). 1. Why do only have certainty in Sunnah when a non Muslim affirms it? It should not matter whether they affirm or deny it. 2. when will you learn that people will always let you down? 3. Every desire you have is a distraction from Allah. So He does not give you when you are distracted from Him, He give you after you return. 4. Allah is turning everything against you so turn to Him. 5. ‎"The Awliya say that if a believer is punished in this world, then it is out of the love of Allah subhanahu wa ta'ala because He wants to purify you in this world so you do not enter the hell fire." 6. Allah only accepts pure love. 7. Do not allow your nafs to be happy with anything other than Allah. 8. Do not allow people to distract you from Allah. 9. Sooner or later you’ll realise that you only have Allah. 10. If you want to argue with dogs you need to bark. 11. Every tribulation is an opportunity to get closer to Allah. 12. Things are being mixed up. 13. Nothing is as it should be if you oppose decree. 14. Because you are not as you should be. 15. Why do you grieve over what was not yours in the first place? 16. Why are you attracted to what Allah hates? There can never be any good in it. 17. "The tears of the wounded young girl, the exploited young woman or the bereaved mother in Syria are more painful to the merciful Prophet than what we imagine from thousands of negative and insulting films and drawings." 18. Only the sincere fear nifaq and only fools think they are free from it. 19. When your heart is clean; why should you be bothered about people say to you? 20. The best stories are about the people who overcame great obstacles in their lives. After observing the level of recitation in Indo-Pak communities we have come to know the mispronounced words in Quranic recitation. As we all know the majority of madrasa’s teach what I call urdu-bic which is a hybrid of Urdu and Arabic. That’s to put things gently but if I was to be blunt then I would say that Quran is taught in Urdu not Arabic. Is this problem? Yes it is a major problem when words are not recited properly they can change the meaning. For example the word then ثم becomes سمsumma which means poison. The meaning is changed from then to poison Whenever meaning is changed it can never be good. It generally renders the ayah pronounced as unrecognizable from its Arabic counterpart. So here we wish to list the words that are commonly mispronounced in the hope that people correct their recitation or seek a teacher to assist them to do this. It is an individual obligation to recite the Quran correctly and if you cannot do this then you are sinful. Although if you are trying your upmost and still making mistakes then you have an excuse but others who have the opportunity and choose not to learn do not have an excuse. So here we can see that despite all these madrasa’s that are open only a few are actually doing their job correctly. ث it should be pronounced tha not sa which is the common mistake – try put your tongue between your teeth and articulate the letter. ح Ha must be said by blowing air out of the middle of the throat similar to how you blow on a mirror – this one is difficult and needs practice. خ Kha is a throaty sound which is almost the same sound you hear when old people draw phlegm into their mouths and spit. ذ this is common mistake and pronounced as zha which is not Arabic it should be pronounced as dha – your tongue should come out of your mouth. It is very similar to da; only difference is the place that the sound is made. ص this is another mistake it is pronounced as sawad which is not correct at all. It should be pronounced as Saad. The tongue should move upwards in an almost whistling manner. ط tawwii which is its common pronouncement but the correct one is Taaw – the tongue should move upward towards the roof of the mouth. and if you are doing it correctly it should hurt to begin with. ء this is similar to the ه this is deeper. Aa. ل Laam is said too deeply in all words. It should be said thinly or lightly and only be heavy when pronouncing the majestic name. I do realise that this list is effectively half the alphabet but these are the mistakes that we have found. Please try to find someone qualified to teach you and correct these errors. Its not easy because it’s like uprooting a tree and putting a sapling in its place. You have to re-programme yourself but the rewards are there for you and you will feel a difference in your prayer. Start slowly one letter at a time, master it move on then so forth. Its not easy but it is possible as Imam Al-Jazzari said in his commentary on Tajweed all it needs is practice of the mouth. So you can see what a big mistake it is so the below is how to correctly pronounce it. So if you cannot say them correctly then separate them for the time being until you can correctly say them. In many books that alif and the Hamza are said to be pronounced the same but they are different. The alif is pronounced in the mouth and the Hamza is pronounced at the bottom of the throat. They are two different letters and cannot be read the same. You might find a lot of difficulty trying to correct your pronunciation but that should not stop you. If you cannot do this for yourself then try to get a teacher who knows Quranic Arabic for your kids. At least then they do not grow up with the correct pronunciation. The Hanafi madhab states that if two words are pronounced correctly then the prayer is valid. The Shafi madhab is stricter, if Sura Fatihah is not pronounced correctly then the prayer is not valid. Please check your schools opinion on this issue. The Shia prayer that I witnessed has no Sura Fatihah or any sura, as far as I could tell, if this is correct the whole prayer is invalid. Finding a teacher might prove difficult and it might prove impossible for some. But you have to try. There are some online courses so bear that in mind. Not being able to pronounce the words correctly means a barrier to learning Arabic, if you choose to do so. Please see the following link and it will explain what why tajweed needs to be correct. 1. When you have certainty is present there is no problem when you have doubt everything is a problem. 2. Accuse yourself when you do not practice and speak when you do. 3. Do not look for people to help you. 5. You can only move on from a tribulation once you do one thing. Accept it. 6. In a state of tribulation your heart is humble before Allah. In a state of wealth your heart is haughty before Allah. Thats one of the reasons we have tribulations so our hearts are in a good state before Allah the Exalted. 7. Does the loin think he's smart by scaring the inhabitants of the jungle? If one animal opposes him they cannot do anything but together they can kill the loin. 8. Allah give us what he knows is best for us not what we think is best for us. 10. Sidi Ahmed Az-Zurraq (may Allah show him mercy) said in Qawiad Al-Tasawwaf, "Whoever follows this path must accustom himself to trails." 12. What is Pakistani politics? Its the taking of the engine from a working car and replacing it with a bucket! Then wondering why the car won't start! It was working before. Yes before you messed things up! 13. We live in an age in which are not changing we are repeating. 14. If you make sure what comes out of your mouth and what goes in is halal, then you have no problems! 15. The ending of all your desires is loss except the desire for Allah. 16. Why do people complain about satan when all he did was suggest! It was you who decided to do it! So stop blaming him and blame yourself! 17. If you have a need read Yasin! 19. When Allah wants you to come to Him he causes events which take out the love and hope for anything except Him from your heart. 20. How merciful Allah is to you! When your sins pile up he sends you a tribulation to remove it and then gives you an opportunity to attain reward for your patience! So he takes your sin away and gives you chance to excel. What a generous Lord! Freedom of SPEECH or Freedom to INSULT? 2. If you make sure what comes out of your mouth and what goes in is halal, then you have no problems! 3. The ending of all your desires is loss except the desire for Allah. 5. Why do people complain about satan when all he did was suggest! It was you who decided to do it! So stop blaming him and blame yourself! 6. If you have a need read Yasin! 7. Do not allow someone's evil actions to prevent you from doing good actions. 8. Isn't awful when you realise that those bad thoughts are from your nafs because satan is not around now. 9. Only when someone is pure outwardly can someone pray and only when the heart is pure can it prostrate. 10. Large amounts of wealth do not help on the day of judgement but large amounts of faith does. So why are we so bothered about gathering wealth and so avid about neglecting our faith? 11. If you rely on yourself then you’ve already failed and if you rely on Allah (the Exalted) then you have already succeeded. 12. The lion will be slain at the gates justifying the fallen. The butchers will be butchered. 13. Sooner or later you'll realise that you can only rely on Allah and everyone else will let you down. 14. Difference of opinion is only accepted from those with knowledge. 15. Celebrating the mawlid is about being happy that the Messenger of Allah (may Allah bestow peace and blessings upon him) was sent to guide you and if you are not happy about that, then what else would make you happy? 16. How merciful Allah is to you! When your sins pile up he sends you a tribulation to remove it and then gives you an opportunity to attain reward for your patience! So he takes your sin away and gives you chance to excel. What a generous Lord! 17. When you get dunya you get something that is worth less than nothing. 18. Only by filling the heart by something else can you remove what it presently contains. 19. The outward of the prayer means nothing if the inward does not move. 20. When people turn against you its a reminder that you have to turn to Allah. Never allow anyone to distract you from Allah, not your family, wealth, business or livelihood. Only have hopes in Allah as all other hopes in anything else are fruitless. Everything you desire other than Allah is a veil that needs to removed. Only a connection to Allah is a cause of joy.